At Summit we feel it’s never too early to begin the journey of introducing children to Jesus. As parents, you are the most influential person in your child’s life. As a church, we want to walk alongside you as you raise your child to know Jesus. The Parent Orientation and the Infant Baptism & Dedication Ceremony are first steps we can take together. The Infant Baptism & Dedication Ceremony takes place onstage during all of our service times and across all of our campuses. The Parent Orientation is a one-hour class offered on a Sunday afternoon at each campus designed for parents interested in having their child baptized or dedicated at Summit. We discuss what will be asked from stage during the ceremony and answer any questions you may have. You must first attend a Parent Orientation before signing your child up for a baptism or dedication. * The July Parent Orientation will be held at the Lake Mary and Waterford Campuses only. The Herndon summer Parent Orientation will be held on August 4th. Sign ups are available here. 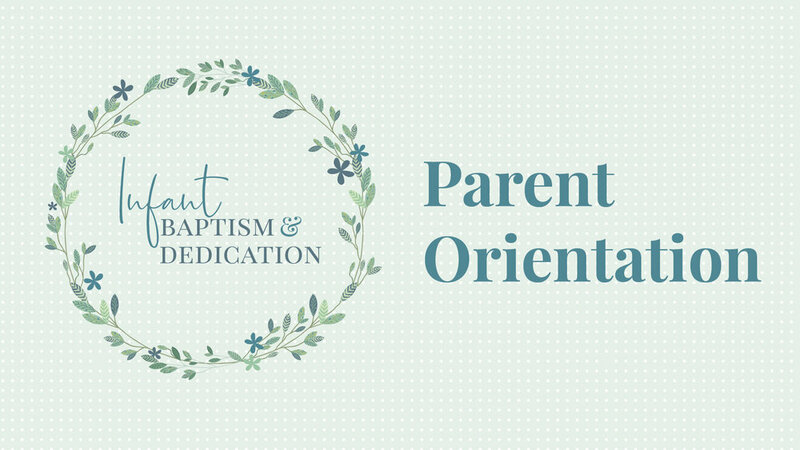 Sign-up instructions for Infant Baptism and Dedication ceremonies will be made available at Parent Orientation. More information about Infant Baptisms and Dedications at Summit is available here. Already been through the class? If you’ve already attended a Parent Orientation Class at Summit and would like to participate in Infant Baptism and Dedication with another child, you do not need to attend an additional class. Please fill out this form and let us know you’re interested!